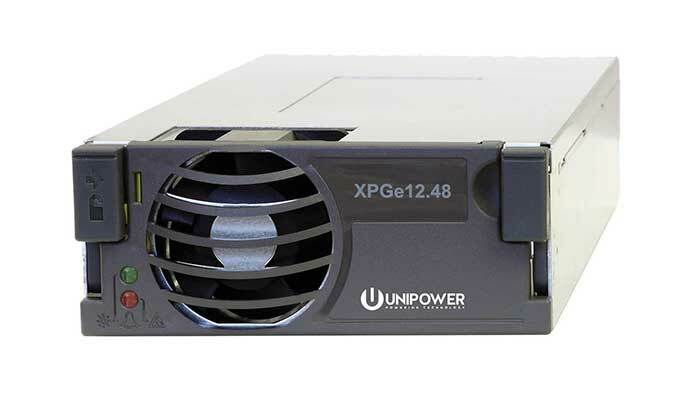 The XPGe12.48G rectifier raises the bar for efficiency in medium-size rectifiers. Incorporating resonant technology to reduce component stresses also provides increased system reliability. The rectifier features a wide input operating voltage range to maximize power availability within demanding utility power environments. Typical applications for these rectifiers are both in indoor and outdoor environments, which is ideal for broadband access, cable head ends, micro/pico BTS Cells, Enterprise E911, and GSM-R applications.